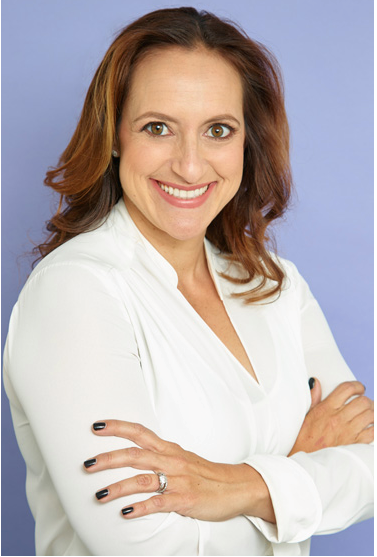 Alexis White has guided countless high school students and their families throughout the college process at The A-list, Los Angeles’ premier private tutoring and admission consulting company. Here she reminisces about one of her college visits and shares some invaluable tips to help you maximize your own college tours. I was a junior in high school when I walked onto a quintessential, New England college’s campus for the first time. It was a freezing, yet glimmeringly sunny day--perfect for a morning tour. This picturesque school, nestled in the most idyllic town was something that I, a native Angeleno, could have only imagined would appear on a Warner Bros. soundstage. Her expression--one of living vicariously, of remembering her days as a student there and studying just minutes from Emily Dickinson’s house, of walks crunching through fall’s amber leaves--fell. As an independent college admissions consultant, I would have advised my teen self to use this as a research experience. Luckily, I had my mother to remind me that school tours were like shopping: you never know how a dress fits until you try it on. And so, I marched on to get a sense of what it would feel like to be on a campus with only 1,700 undergraduates. Since I happily ended up attending UCLA for the next four years -- among 40,000 of my dearest friends -- clearly a tiny college wasn’t for me. Bring a small notebook and jot notes down throughout the tour. Apart from the general information found on a college’s website, focus on how the college relates to your desires and interests. If you’re interested in acting and there’s an improv troupe on campus, write it down. If you want “face time” with professors and there’s a student/faculty coffee every Friday, write that down. If you love to travel, and the school does mid-semester global mini trips, write it down. This information will come into play later on when you're writing your applications. The schools will truly appreciate that you were listening to the specifics. At nearly every school, there will be a moment when your group is introduced to someone from the admissions office; write the person’s name down and grab his or her card if you can (you can always get contact information later by calling or looking on the school’s site). Write thank you notes to each of these people via email--this way they have a record of correspondence from you and you can start a dialogue with them. Even if you think, "ugh I could never go here," don't check out completely. You never know when you'll see or hear something that sparks your interest and either changes your mind or raises a question for another school later on. Sometimes you'll get an amazing tour guide and other times; you'll get a total dud. Stay focused on the information provided and less on the guide’s personality because you don't want this to affect your opinion of a school. While you’re on campus, it’s also important to consider the holistic aspects of the school. Does it feel like the students are having a positive experience? Can I navigate the campus? Can I see myself working/sleeping/eating/hanging out in the common areas? Are people on campus helpful? If you ask where the student union or the bookstore are, do they direct you with enthusiasm or look at you like they couldn't care less? Ask your tour guide what he or she loves about the school. This is great insider information. Months later, when you face your applications’ supplemental essays that ask, “why such and such school,” you’ll have an arsenal of information. From the professor who showed you the art history archives, to the spontaneous “battle of the bands” show you watched, to the latte you savored as you sat in the quad--you’ll know that your trip was entirely worth it. **Alexis White is a college admissions consultant and the owner of The A-List Tutoring Services Inc. in Los Angeles. She has been guiding students and families through the college admissions process for the past twelve years.